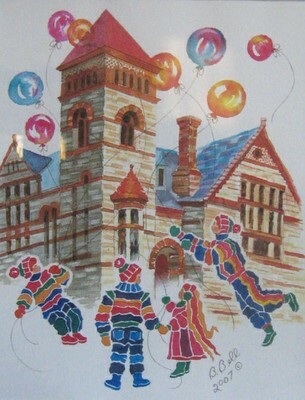 Prints of the beautiful and colorful watercolor depiction of the Warren Public Library by local artist Bonnie Bell are now on sale at the library. The 8 1/2 by 11-inch prints are mounted on a foam backing and are signed by the artist. The prints sell for $15 each, a portion of which will benefit the library.